Spend a day in Cintai Corito’s Garden, a Bali-inspired resort with swimming pools, tropical plants, and free-roaming animals. Stroll the quiet trails through the resort, soak up the sun, or head to the kid’s playground. This full-day excursion to Cintai Corito’s Garden includes lunch and an afternoon snack, as well as round-trip transport from Makati and Manila Bay-area hotels. 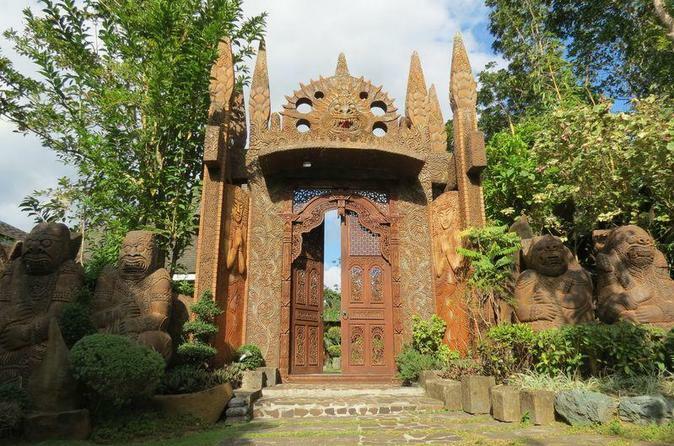 Experience "Bali in the Philippines"
Start with pickup at your hotel for 9am departure, then travel to Cintai Corito’s Garden, roughly an hour outside the city limits. Upon arrival at the resort, you can spend the day exactly as you like. From the villas to the grounds, Cintai Corito’s Garden is inspired by the landscape, architecture, and culture of Bali, and there’s a calm, laid-back atmosphere that’s perfect for a day of relaxation. Find some of the animals that live on the grounds, including alpacas, spotted deer, miniature horses, and peacocks, and when it’s time for lunch, step into a Balinese villa to enjoy the meal. Bring a swimming suit if you’d like to enjoy one of the four resort pools, which are surrounded by terraced gardens, lush tropical trees, and comfortable seats. If you’re traveling with children, don’t miss out on the kid’s playground, an area that's specially-designed for the smallest visitors and set in the middle of a garden. At the end of the day, meet back up with the driver for return transfer to your hotel, where this tour concludes.